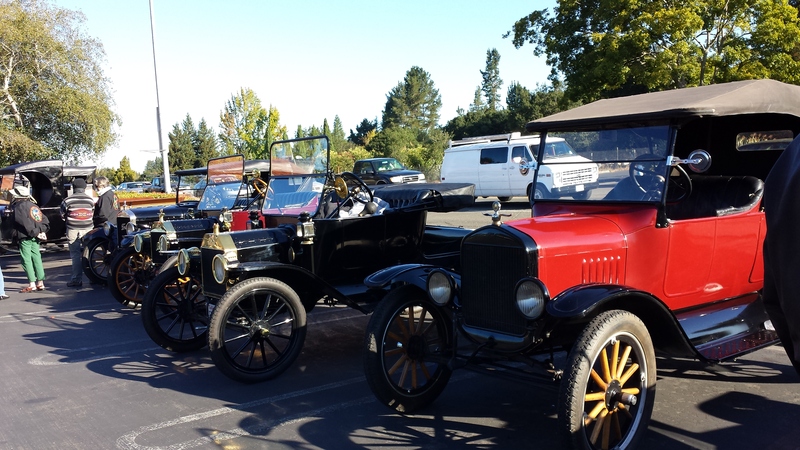 Out and About in Sonoma County! 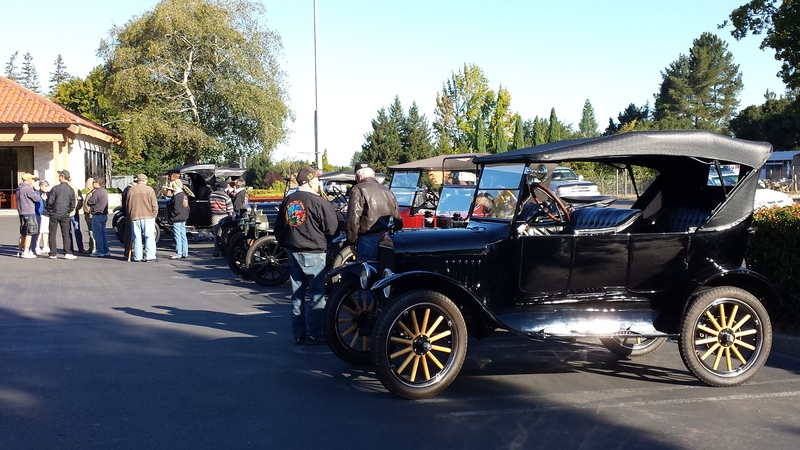 So, my mom and I were driving along when we saw a meeting of the local chapter of the Ford Model T and Model A club. Of course, we just HAD to stop! I took some pictures of these cars. I hope you like them. 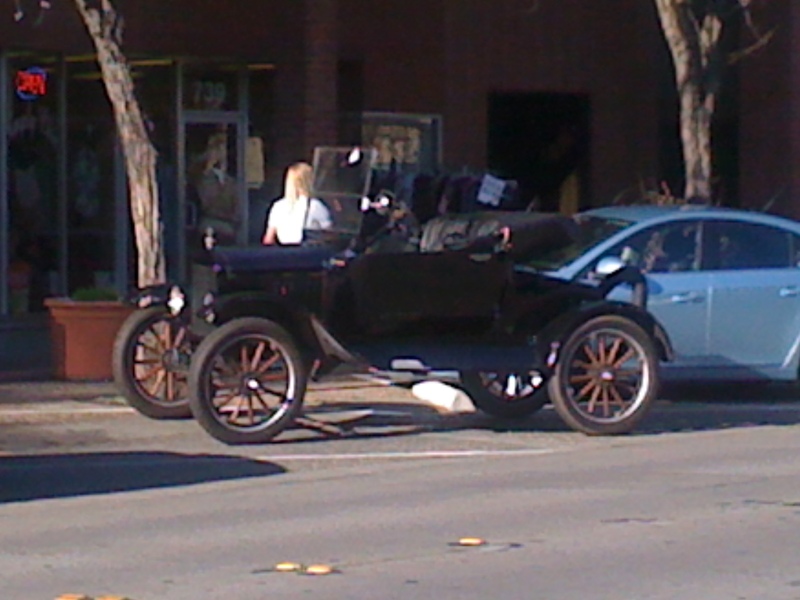 This lovely 1912-ish Ford Model T proves that Henry Ford DID make Model T’s in colors other than black! Please try and get over the fact that everything is backwards on the Model T. It is NOT right hand drive – it’s just the way that my imaging software works! 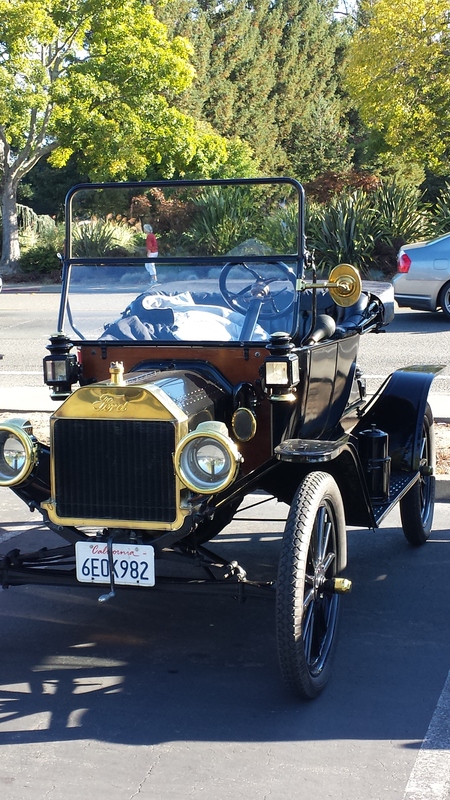 This beautiful 1909 Model T Roadster is truly amazing. The spare tire on the back doesn’t have a wheel on the back because it was cheaper for Henry Ford’s horseless carriage to be made with four wheels and one spare tire. It has higher ground clearance than a modern Jeep Wrangler! That’s because in 1909, roads were still just wagon ruts. Nothing hung down below the axles so that the engine or transmission wouldn’t be knocked off! Fully resplendent in Henry Ford’s famous color – black! 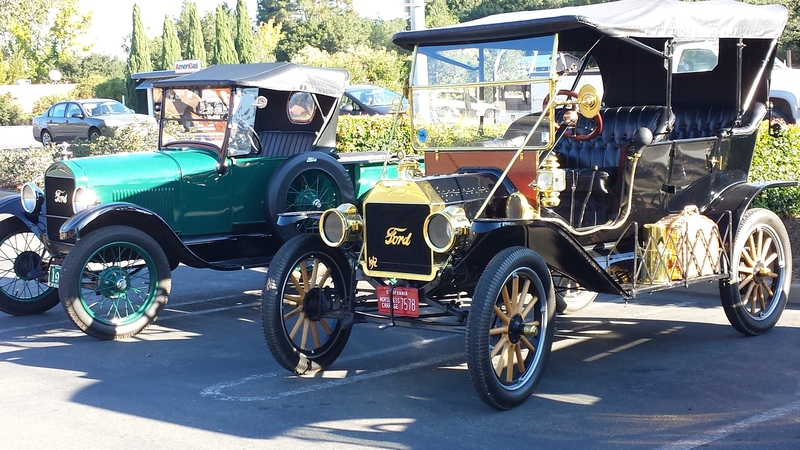 This four-door 1908 Model T is fully restored, and looks better up close! This thing takes shiny to a whole new level! 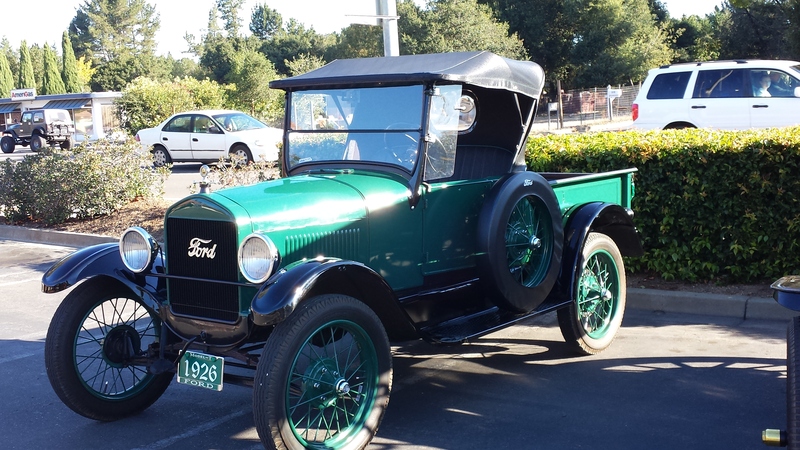 This 1923 Ford Model A pickup is cool! It’s a convertible pickup! It’s in bone-stock, completely restored condition. This thing purrs like a kitten. 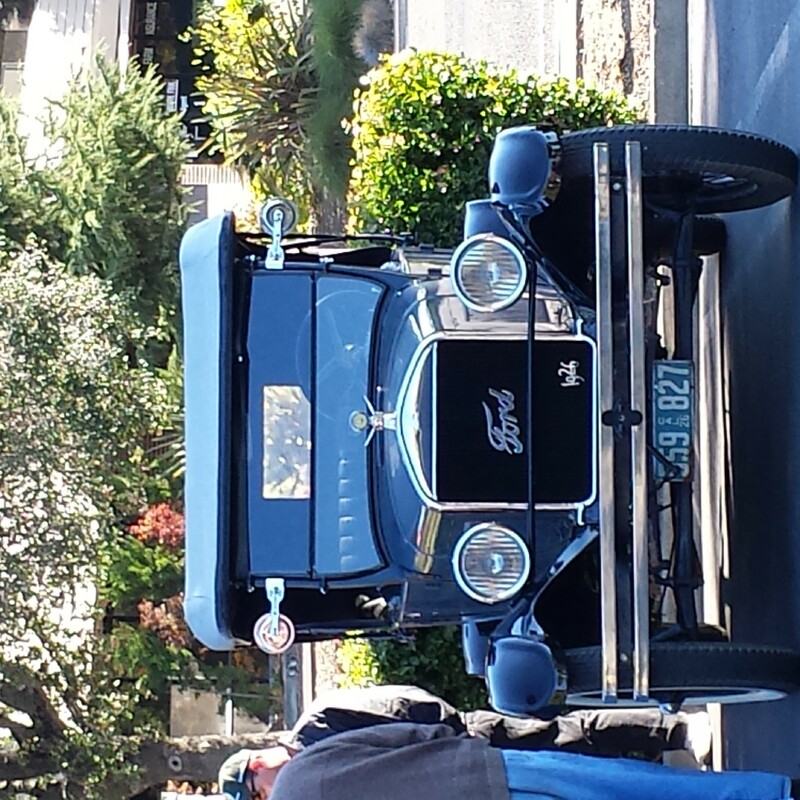 This Model T owner has brass, and a big windshield! I want the seats from this car – they’re basically just leather sofas! Even the wheels have brass spacers and center caps. This car looks amazing! I like this daily-driven 1916 Ford Model A Speedster. Essentially just a stripped-down Model T, the Speedster was kind of like a homologation special that became really popular! It had no creature comforts, and all non-essential parts were taken off! It weighed about 900 pounds! A whole row of Tin Lizzies! I like the red one closest to me. It stands out nicely. It probably gets a lot of thumbs-ups, too! Is the 2014 Ram Promaster a Good Bet for Those Who Need Space? Well, that’s a loaded question. If you have a business that delivers large parcels, or you are a contractor, you’ve got a couple of new options. The 2014 Ram Promaster debuted at the 2014 Los Angeles Auto Show, and the 2015 Ford Transit did, as well. Unfortunately, the Ford has been delayed until the 2015 model year. This leaves Ford out of the game for a new offering until late next year. If you want a van from the Triassic Period, go to your local Ford dealer and buy an Econoline van. Mercedes-Benz is selling the Sprinter, as well as Freightliner (badge engineering! ), and the Chevy Express/GMC Savanna are the dinosaur offerings. The 2014 Ram Promaster is what I want to talk about, though. Basically, the 2014 Ram Promaster is a rebadged Fiat Ducato. The Fiat version has been around since 1981, and over 4.5 million copies have been sold everywhere BUT North America. Go figure. This gave Fiat time to refine and hone in their technique for the Ducato. When Fiat bought the Chrysler Corporation in 2011, all of the Dodge Ram pickups became a separate brand – Ram. Yes, I AM expecting somebody to make some sort of bad battering ram joke (pun intended!)! Anyways, the 2014 Ram Promaster/Fiat Ducato is Americanized. But, what sets it apart from its competitors is it’s front-wheel-drive architecture. Yep, it’s front-wheel-drive. Ram says that FWD carries many pros. First of all, it offers best-in-class load height (21 inches), more interior space, and better fuel economy. There are two very good engines available: The now-familiar 3.6-liter Pentastar V6, making 280 horsepower and 260 lb-ft of torque, and a brand-new 3.0-liter EcoDiesel diesel engine with four cylinders. The diesel makes 174 horsepower and 295 lb-ft of torque. The Pentastar V6 is mated to an Aisin six-speed automatic, while the diesel is mated to an automated six-speed manual. Basically, there is an electro-hydraulic system that controls the clutch and gear actuation. Ram says that the diesel/automated manual system fuel economy should range well into the mid-20s. That is a good thing for those who need to haul, but don’t want to see $200 bills at the gas station. The engineers of the Ram Promaster have made it pretty dang hard to damage. It has standard electronic stability control (an industry 1st), you can get Chrysler’s optional ParkView backup camera and Parksense radar/sonar system to make it easier to navigate in parking lots, alleys, and other tight spaces. Should the Promaster get it’s bumpers damaged, the bumpers are three pieces. That allows for the damaged piece to be replaced, not the complete bumper itself. That gust of air you just felt were all of the body shop technicians who work at Ram dealers giving a collective sigh. Six airbags (three of which are curtain airbags) are standard. According to Ram, the ride is smooth for a commercial van. Most vans, however, have too much vertical travel with the suspension. It’s normal if you feel it while driving the Ram Promaster. The suspension is designed that way so that you can put huge loads into the cargo bay and still have a comfortable ride. The Pentastar engine is a smooth powerplant, as evidenced by the other hard-working vehicles in the Chrysler/Dodge/Jeep/Ram lineup (think Dodge Grand Caravan, Dodge Durango, Chrysler 300), and it probably won’t be loud with a large load. Say you and a friend are moving 1,500 pounds of file boxes, and you are driving the Ram Promaster. That’s easy enough for any cargo van. The Pentastar engine is a powerful engine that should easily take care of most getting-up-to-speed needs. There should be no unwelcome issues with the front-wheel-drive architecture, because it is lower to the ground, and front-wheel-drive gives a smoother ride. Ram/Fiat designed the Promaster to have a tight turning radius, so that you can easily snake into a parking spot or do a u-turn (a legal one!). Some people will probably complain about the classic Italian driving position. This means that the steering wheel itself is very flat and far away from the driver. Since Italians tend to be shorter with longer arms, the pedals are close to the driver. I hope you are built like an Italian if you buy a Ram Promaster! This will be made worse for you because the steering wheel doesn’t telescope, but instead moves a few degrees total. Are you looking forward to having a steering wheel in your chest? Chrysler’s Uconnect system is mounted in the center console (don’t ask why – I don’t know! ), so it is not only small (5 inches), but far away. It will NOT work for a driver who needs navigation to deliver materials. The 2014 Ram Promaster should start coming to dealers near you soon, as the Saltillo, Mexico plant has started production, and Ram Promasters are now on their way to dealers. It will be available in 14 different combinations at launch, including a chassis cab, a high-roof version, a long-wheelbase version, and other combinations. I can’t wait to report more on the 2014 Ram Promaster. It starts at a measly $29,630, so it is a bit cheaper than a base Mercedes-Benz Sprinter cargo van, and $400 more expensive than a Nissan NV 1500 S cargo van. Winnebago debuted a Promaster-based motorhome at the SEMA show, and people showed a LOT of interest in it. Not only is it lower than a Ford E-Series-based motorhome, but it is cheaper, as well. For those of you looking into buying a new cargo van, the 2014 Ram Promaster is a good, safe bet. It has a short hood, and that will aid many owners who park a lot in seeing where the front of their van is. If you don’t know what I am talking about, go rent/lease/buy a Nissan NV and try to park it. Then, try it in a Ram Promaster. You’ll be surrprised at how easy it will be in the Ram Promaster! You can learn more about the 2014 Ram Promaster at http://www.ramtrucks.com/en/2014/ram_promaster/. 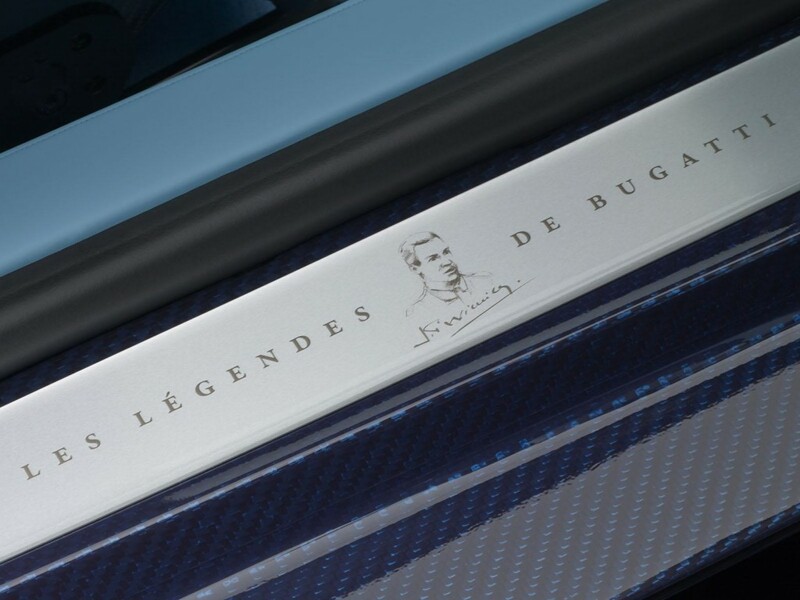 Jean Bugatti Is Honored With the New “Legend” Edition Veyron Grand Sport Vitesse! 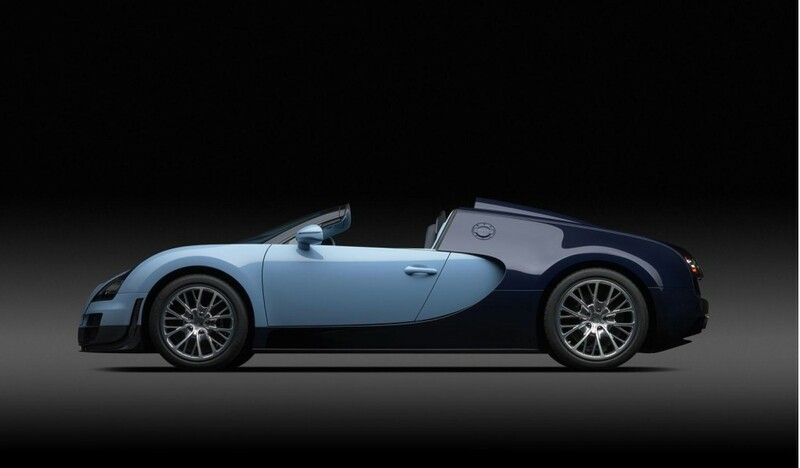 Bugatti has come out with the second “Legend” Edition Bugatti Veyron Grand Sport Vitesse, this time honoring the oldest son of Ettore Bugatti, the man who formed Bugatti. The second Legend Edition Veyron Grand Sport Vitesse was unveiled on the eve of the car’s debut at the 2013 Frankfurt Motor Show. The first in the series of six was revealed at the 2013 Concours d’Elegance. 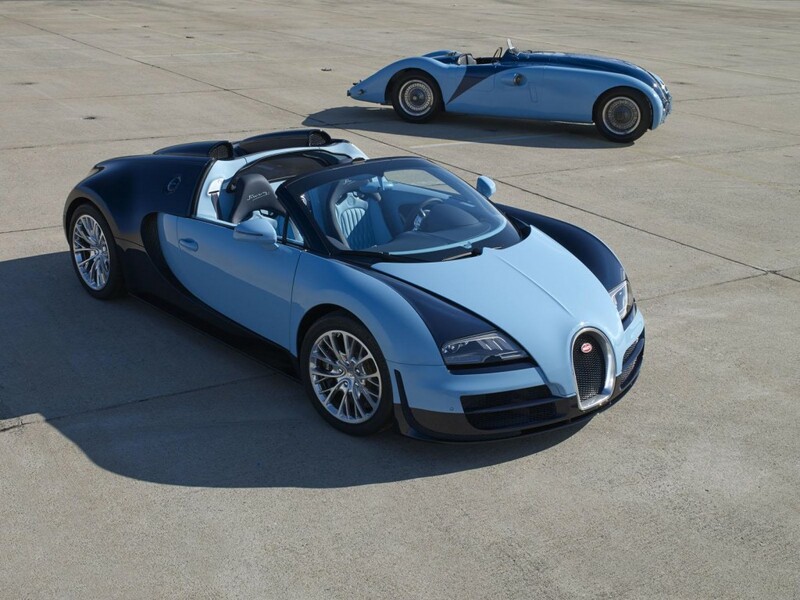 All of the Bugatti Veyron Grand Sport Vitesse Legend Editions will be produced in a run of 3 identical cars. 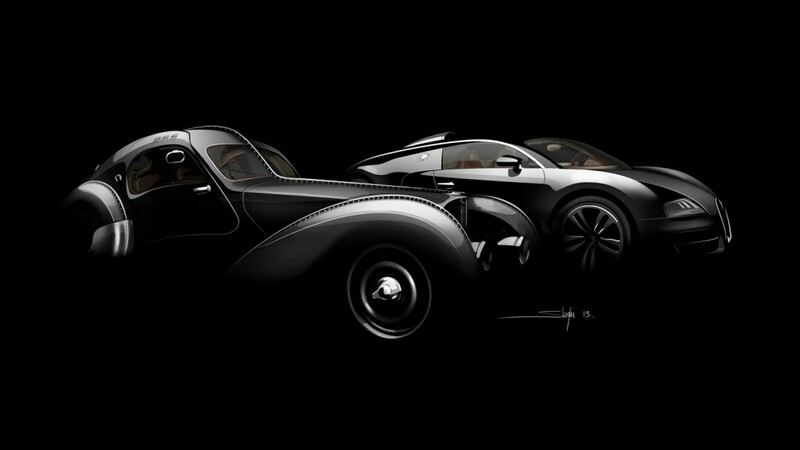 The latest car is the “Jean Bugatti Legend Edition,” which honors Jean Bugatti. Which, as it’s name suggests, honors Ettore Bugatti’s oldest son, Jean Bugatti, who created the Type 57SC Atlantic. Only four examples of the Type 57SC Atlantic were built between 1936 and 1938. One is owned by Ralph Lauren, and the other was bought by a mystery owner in 2010. 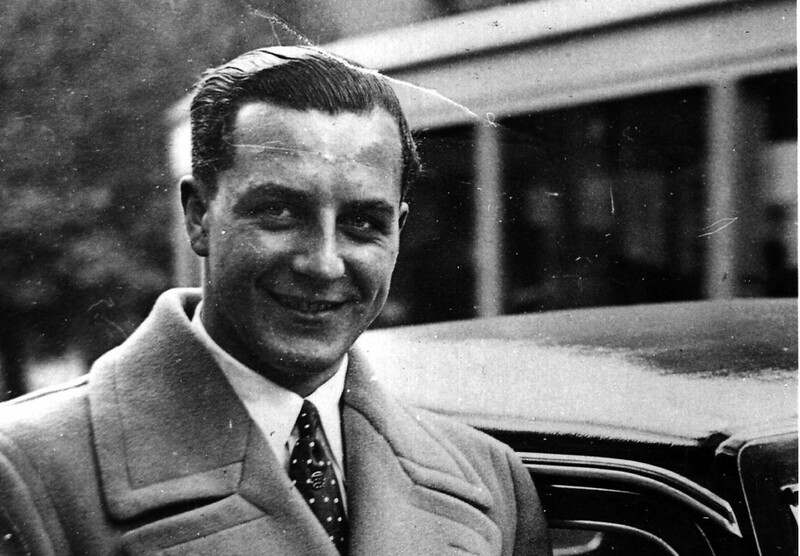 Jean Bugatti was the eldest son of Ettore Bugatti, and took over the company at the young age of 27. Unfortunately, he died in a tragic accident while testing the Le Mans-winning 57G Tank. But, the car that he is most known for the Type 57SC Atlantic. Of course, the Bugatti Veyron Legend Edition “Jean Bugatti” takes it’s inspiration from the Type 57SC Atlantic. But, it’s not based off of just any ole’ 57SC Atlantic – it is based off of the La Voiture Noire 57SC Atlantic that served as Jean’s personal car until the time of his death. It is now lost to history. 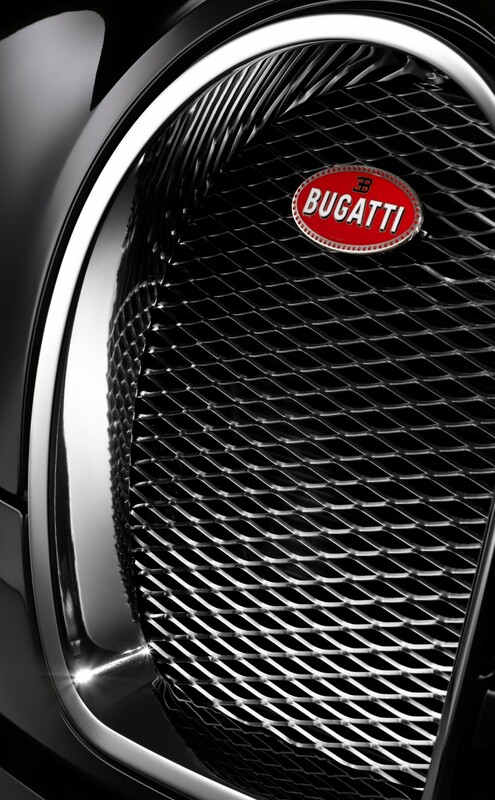 What makes the Bugatti Veyron Grand Sport Vitesse Legend Edition so special is that the grille and the logos are made from real platinum, the exterior is flat black with clear-coated carbon fiber, black chrome wheels, and Jean Bugatti’s signature on just about everything (fuel filler, oil caps, seats, and even the floor mats!). Inside the car, the already sumptuous interior has leather matching the beige and brown tones that the 57SC Atlantic La Voiture Noire had adorn many surfaces. Also, the side silhouette of the Type 57SC Atlantic is hand-embroidered on the inward side of both doors. No mechanical changes have been made, so the car is still capable of hitting 254 mph (though top speed is limited to “just” 233 mph in this special edition), and it will still hit 60 mph in 2.6 seconds – just a tad bit faster than a Nissan GT-R! Prices start at 2.28 million Euros (about $3 million USD). I advise you to start saving. Is the 2014 Cadillac CTS VSport a V-E Day for Caddy? When Cadillac introduced the 2nd generation CTS back in 2008, it blew the wheels off of the competition. It was just that good. It remains that good to this day, but it also happened to snare Motor Trend’s 2008 Car of the Year award. That’s some pretty prestigious territory. Caddy didn’t rest on their laurels for long. They took the V8 engine out of the Chevrolet Corvette ZR-1, detuned it to 556 horsepower and 551 lb-ft of torque, and shoved it into the CTS. Thus, the CTS-V was born. The CTS-V was good enough to win multiple comparisons against the BMW M5, Mercedes-Benz E63 AMG, and even the Mercedes-Benz CLS63 AMG. All of those cars that were defeated have been significantly updated and/or redesigned since 2009, but the CTS-V remains a high-water mark for GM. Cadillac even added a coupe and a station wagon version for both the CTS and the CTS-V in 2011, and all of the CTS iterations are true champions. For us mere mortals that want better fuel economy than 12 or 13 mpg, then the 2014 Cadillac CTS VSport might be the ticket to success. When Cadillac started designing the 3rd generation CTS for 2014, their goal was to make the car leaner and meaner. What they meant by that was make its dimensions larger to better compete with the BMW 5 Series, Acura RLX, Mercedes Benz E Class, and the Jaguar XF. They also had to make it lighter. That’s when forged aluminum and high-strength steel come into hand. The 2014 Cadillac CTS is reportedly lighter by up to 350 pounds in some versions. But, I want to talk to you about the 2014 Cadillac CTS VSport, which is the car that is a step below the still-available CTS-V.
Cadillac has said in multiple press releases that they will use V6s whenever possible. Not only are they able to cram more technology into the V6 engines, but the V6 design reduces weight. But, won’t BMW and Mercedes-Benz have V8s in their 550i and E550. Won’t Cadillac be bringing a butter knife to an RPG fight? Not necessarily. The 2014 Cadillac CTS VSport’s twin-turbo 3.6-liter V6 makes 420 horsepower, versus 400 horsepower (probably much more than that, according to dyno tests) for the Bimmer, and 402 for the Benz. However, torque is down a bit, compared to the competing V8s. The CTS VSport’s engine makes 430 lb-ft of torque, while the BMW makes an astonishing 450 horsepower, and the Benz makes 443 lb-ft. 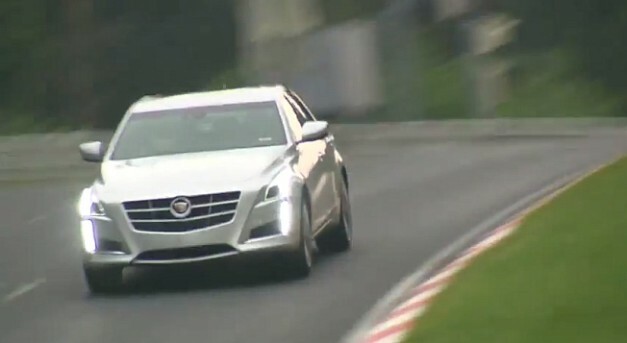 But, the CTS has a better power-to-weight ratio, with 9.5 pounds per horsepower. This will make up for any power deficit. The BMW makes 10.9 pounds per horsepower, and the Benz makes 11.3. Cadillac also has a new turbocharger intercooler plumbing, which pretty much eliminates any turbo lag. Cadillac claims a 0-60 time of 4.4 seconds out of the 2014 Cadillac CTS VSport, but Motor Trend got 4.7 seconds. It’s not a bad thing for an auto magazine to be a bit off the time, because the engineering team has been developing the CTS VSport for a couple of years now. Cadillac also got a quite respectable quarter mile time of 13.1 seconds at 108.4 miles an hour. That won’t catch a Corvette, but it will embarrass a Ford Mustang with the V6. The 0-60 time and quarter mile time are enough to send the Germans hustling to the drawing board. The standard Brembo brakes will out stop a BMW 550i or a Mercedes-Benz E550, with a short stopping distance of 103 feet. That’s good enough to out stop a 2014 Corvette Z51. Put the CTS VSport up against an Infiniti Q70 (previously the M37/M56), and it’s pretty much even. Motor Trend tested a M56 last year and got 4.8 seconds to 60, and it then went on to blast through the 1/4 mile at 13.1 seconds at 108.1 mph. Remember, these are all in controlled, nearly-ideal settings. DO NOT attempt this at a stoplight! I don’t want you to reenact the rental-car bashing scene from Days of Thunder! 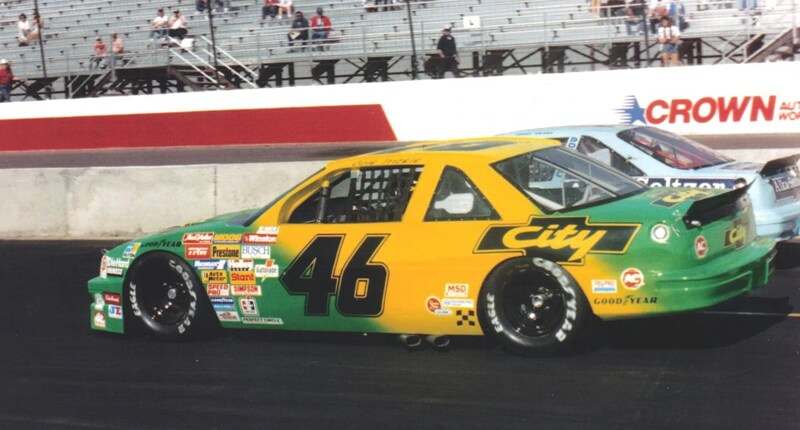 As awesome as that was, Ford and Chevy paid a lot of money for those cars to be thrashed like that. You’ll be paying that amount of money for repairs! Also new is a ZF eight-speed automatic transmission also found in the Rolls-Royce Ghost, Range Rover Sport, and many other cars. It senses corners up ahead, using the sonar sensors in the front bumper, as well as the adaptive cruise control radar box. It then downshifts or upshifts at the appropriate moment, and supposedly does its job quite well. GM added a function to the transmission called “Performance Algorithm Shift,” which basically renders the steering-wheel-mounted shift paddles useless. There are a couple of different trim levels offered for the CTS VSport. There is the CTS VSport, which is a perfectly luxurious car in its own right, starting off at $59,995, and that mode has a large number of options. The VSport Premium trim tacks $10,000 to the price, bringing the price up to $69,995. When I “built” a car on Cadillac’s website, the 2014 CTS VSport Premium that I optioned came in at $71,745. Granted, that’s when it’s got the optional high-performance brake pads and sport seating package. If you decide to buy a VSport, I recommend getting it with the following options: Analogue gauges (you’ll have a display that you can personalize in between the speedometer and tachometer), no sunroof, and a quite presentable interior. You’ll also want to get the optional high-performance brake pads (Brembos). All of that will ding you a grand total of $60,005. Not bad, considering you can smoke a BMW 550i for $5,675. You can check out the 2014 Cadillac CTS webpage at http://www.cadillac.com/cts-sport-sedan.html. Enjoy noodling around on the website and building your own CTS VSport. Build one to your desired specifications, and then tell me how much it cost! I’ve also attached a couple of pictures, from the requests of a couple of readers, so enjoy them. Want to Own a Star Car From Two Very Famous Movies? For those car aficionados among you, and/or movie fans, you know that some cars that made appearances in movies, have an almost cult-like status nowadays. 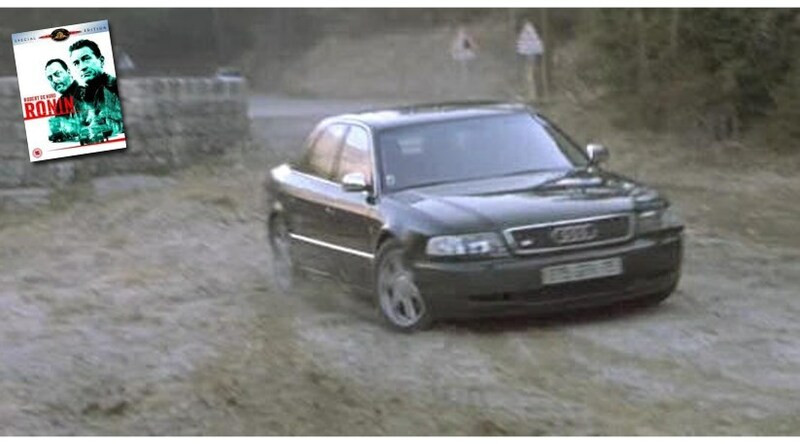 For example, the Audi S8 from Ronin, the Jeep or Ford Explorer from Jurassic Park, the Aston Martin DB5 from Thunderball and Goldfinger, the #46 City Chevrolet Lumina from Days of Thunder, the 2003 Mini Coopers from The Italian Job, the 2008 Audi R8 from Iron Man, the 1970 Porsche 911S from Le Mans, the 1970 Dodge Challenger from Vanishing Point. The list could go on for a few paragraphs, but, okay, I’ll stop now and get to the point. All of the cars mentioned above have people who literally kiss the ground these cars drove over. I’m not kidding. But, two very iconic cars are going up for sale. 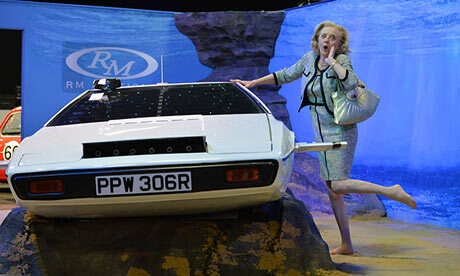 The submersible Lotus Esprit from The Spy Who Loved Me went up for sale, and was bought for $966,560 at an RM Auctions auction block. Here’s the interesting history of the car after the movie: After the movie was over, the filming company put the car under wraps, and shoved into a storage unit in Long Island for about 10 years. 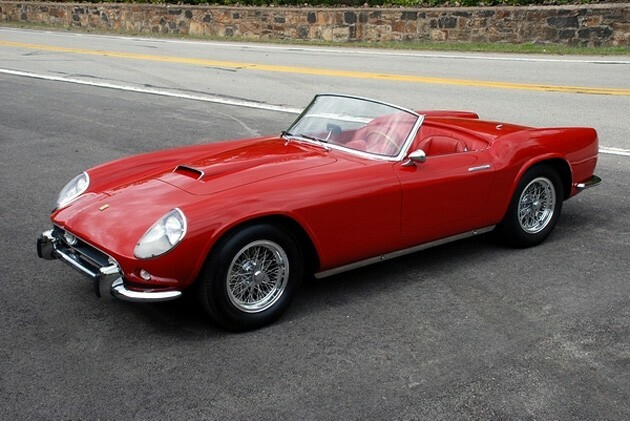 When the storage contract expired, the filming company decided to put it up for “blind sale.” At a public auction, a local couple paid a small fee for the car, not knowing that they would soon own one of the most iconic cars in history. The couple ran the VIN of the car, hired a private automotive detective, and positively identified the car. It was occasionally shown, but it was mostly kept under wraps. 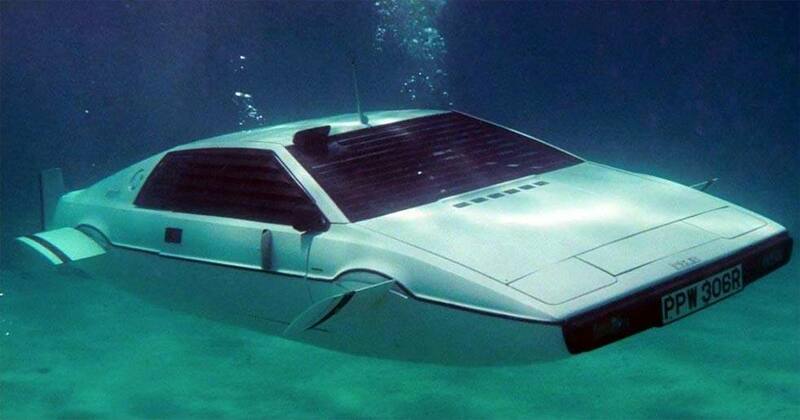 The couple had the car restored by the same company that originally built it, and it can still function as a submarine. 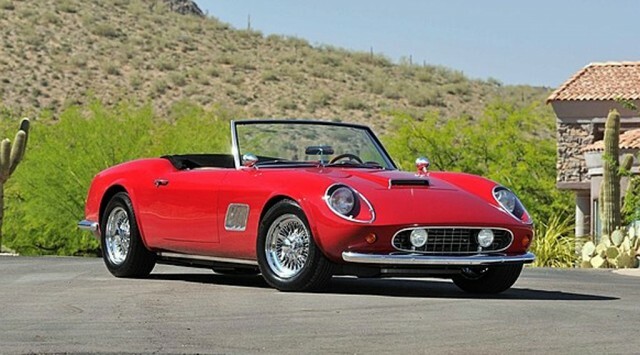 The replica Ferrari 250 GT Spyder from Ferris Bueller’s Day Off also went up for auction. It sold for a steep price of $230,000. 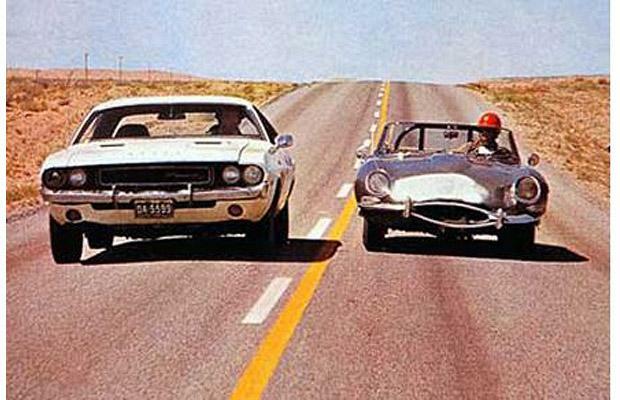 Three cars were built for the movie, but one was wrecked (no spoiler alert here), and the other knocked off about half of the engine block in the joyride scene with the valets. Its last owner was Neil Glassmoyer, one of the men who built the car. It is powered by a Ford 427 V8 that makes somewhere around 500 horsepower, and it is probably a hoot to drive, as it only weighs 2,650 pounds. While it’s not an actual Ferrari, it is faster than any Ferrari of the 1980s, and more iconic than any. It was lovingly restored in 1997 by Glassmoyer and his son to Concours-levels of restoration. I’ve also been kind enough to include the iconic movie cars mentioned in the first paragraph. 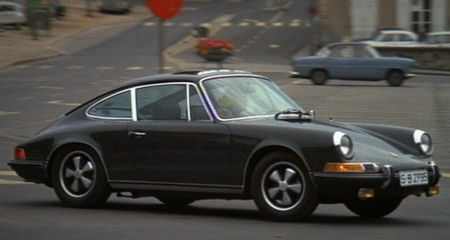 Note to my faithful, car-obsessed readers: I will do a post soon on famous movie cars, complete with a brief description of each car, and pictures of them. Stay tuned. The First “Legend” Edition Bugatti Veyron Grand Sport Vitesse Debuted At the Concours d’Elegance! While showing off their multitude of Veyron’s at the 2013 Concours d’Elegannce, Bugatti unveiled a Legend Edition Veyron Grand Sport Vitesse. It is the first of six, for the six men who changed Bugatti’s history throughout the years. 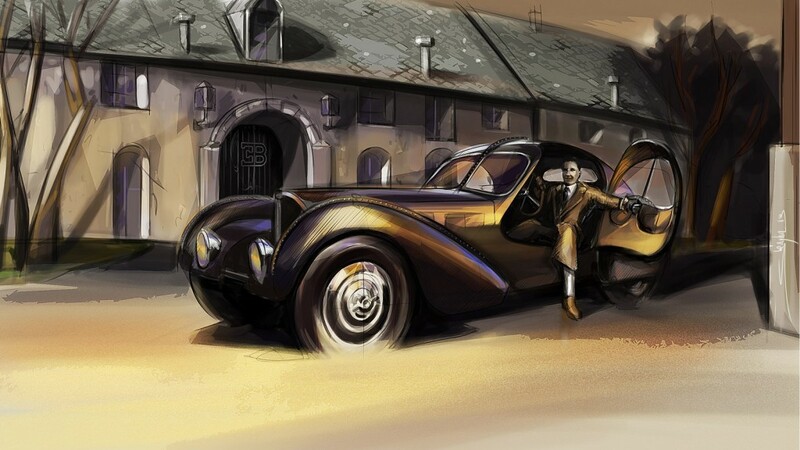 The series is called Les Legendes de Bugatti (Bugatti Legends), and the first one debuted at the 2013 Concours d’Elegance. 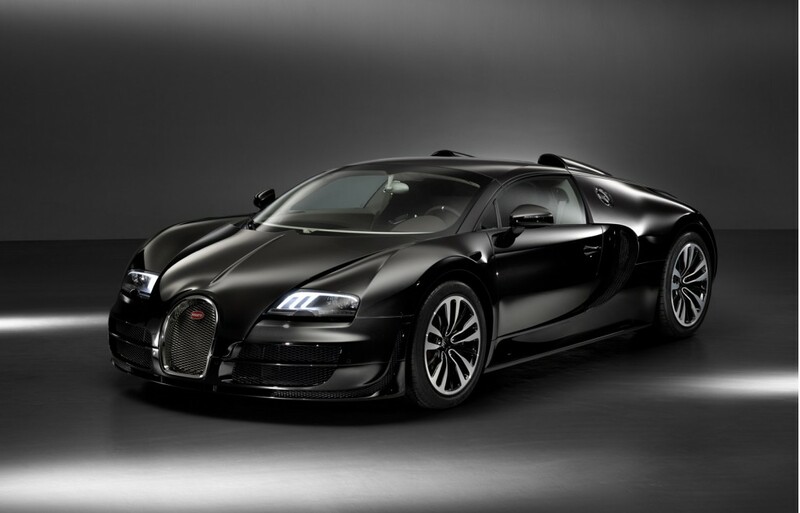 Each Legend Edition Veyron Grand Sport Vitesse will be built in a run of three units. The first Bugatti Veyron Grand Sport Vitesse Legend is the Jean-Pierre Wimille, honoring the legendary French racing driver from the 1930’s who helped Bugatti achieve their two 24 Hours of Le Mans wins in: 1937, in a Bugatti 57G Tank, co-piloted by Robert Benoist, and 1939, in a Bugatti 57C Tank, co-piloted by Pierre Veyron. The car was unveiled next to the original 57G Tank at the Concours d’Elegance. 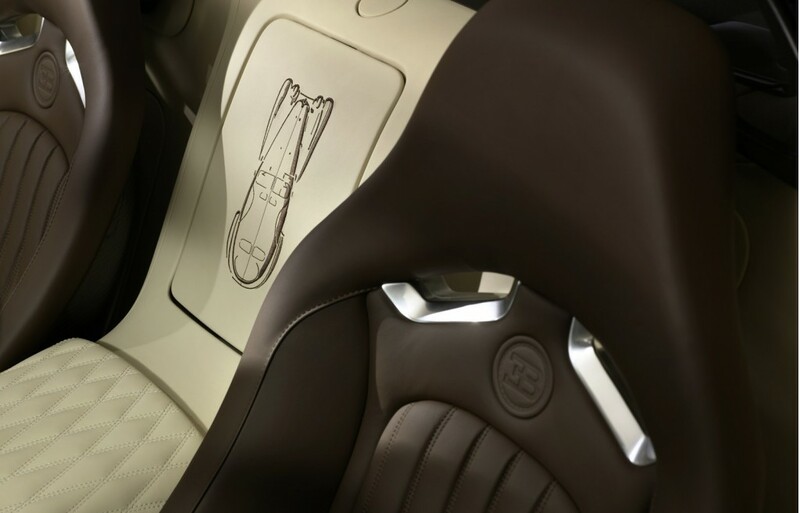 Designers of the Bugatti Veyron Grand Sport Vitesse Legend drew their inspiration from. 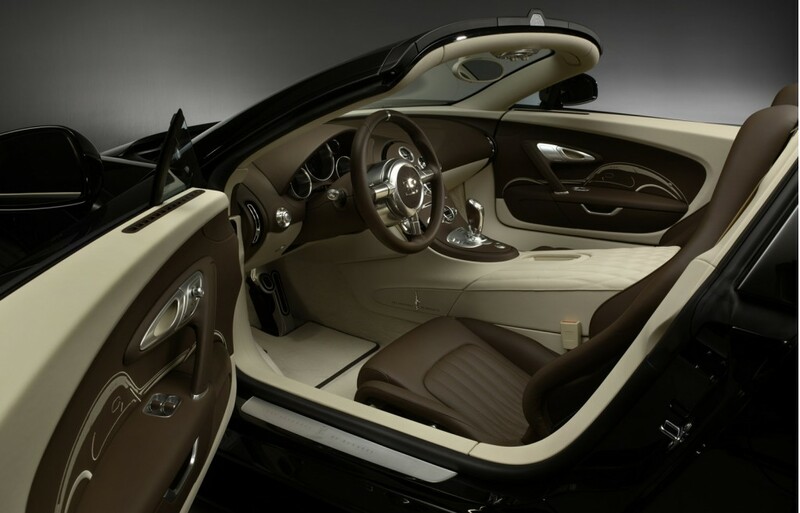 The inspiration can be seen in the bodywork and interior of the car. The exterior is made completely out of carbon fiber, and pays tribute to the 57G Tank with it’s color scheme: Light Blue contrasting nicely with royal blue. The blue color scheme was common in French race cars of the time, and is starting to see a resurgence in French rally cars. The blue/blue theme is continued on the inside (like most Veyron special editions. The headliner, footwells, and seat inserts are all blue leather. The blue is called Blue Wimille, while the darker shade of blue is called Lake Blue. Lake Blue is used for the seat bolsters, dash panel, center console, and doors. In a special homage to Wimille, the designers used a decorative stitching patter that uses the French national colors (red, white, blue). No mechanical changes have been made to the car, so it is still capable of making 1,184 horsepower and 1,106 lb-ft of torque from it’s 8.0-liter W16 engine. And, yes, it still can go 254 mph. With the top down. In comparison, the 57G Tank is powered by a 3.3-liter straight-eight engine delivering somewhere around 200 horsepower. Because of it’s specially designed body, it could reach top speed much faster than any competitors. Enjoy the spectacular pictures. 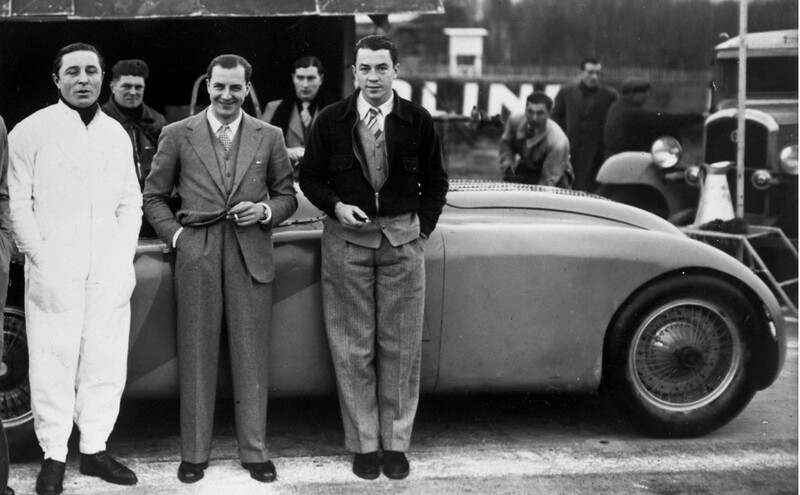 Jean-Pierre Wimille is on the right, Pierre Veyron is on the left, and Jean Bugatti is in the middle. The car they are leaning against is the 57G Tank. The Most Extreme Lamborghini Gallardo Yet! Lamborghini is known for coming out with a never-ending stream of special edition Gallardo’s and Aventadors, but the newest Gallardo special edition is absolutely NOTHING to sneeze at. The 2013 Lamborghini Gallardo Lp 570-4 Squadra Corse just debuted at the 2013 Frankfurt Motor Show. It is the street-going version of the Gallardo Super Trofeo racecar, and it promises to be the most extreme road-going stock Gallardo ever built. You don’t doubt Lamborghini when they say something like that. Period. End of sentence. The mid-mounted 5.2-liter V10 still makes the same 562 horsepower and 398 lb-ft of torque as the rest of the Gallardo lineup (including the Super Trofeo Gallardo), the comprehensive use of carbon fiber and high-strength aluminum has allowed Lamborghini to cut the weight down to under 3,000 pounds. The engine puts the power down to all four wheels via a six-speed single-clutch transmission, with which Lamborghini expects the Gallardo Squadra Corse to scoot to 60 mph in 3.4 seconds. Remember that Lamborghini is always very conservative with their acceleration estimates. 100 mph should come up in a mere 10.4 seconds, while the top speed is 199 mph. Massive carbon-ceramic brakes get the Gallardo Squadra Corse back down to sane speeds in seconds. Not only is the Lamborghini Gallardo Squadra Corse inspired by the Gallardo Super Trofeo, but it shares a large amount of parts with the Super Trofeo Gallardo, including: the massive carbon composite rear wing from the Super Trofeo Gallardo, and the lightweight hood from the Gallardo Super Trofeo. According to Lamborghini, the rear wing produces up to three times the downforce that the regular Gallardo spoiler produces, and the hood has a quick release system to allow it to be easily and quickly removed. Other than the menacing rear wing, the Gallardo Squadra Corse distinguishes itself from the rest of the Gallardo lineup by it’s Italian flag-inspired red, white, and green stripe that is just ahead of the functional scoops, a black-painted hood, a black diffuser, black air intakes, and black wheels. The color choices for the Gallardo Squadra Corse are: Yellow, White, Gray, and Red. The brake calipers have color choices as well: Red, black, and Yellow. Inside the 2013 Lamborghini Gallardo Squadra Corse, there is extensive use of carbon fiber (door panels, racing seats, center console, and handbrake frame). Alcantara makes itself shown on the seats, and the underside of the dashboard.